!! OMG, they’re in their bathing suits: Rockstars !! 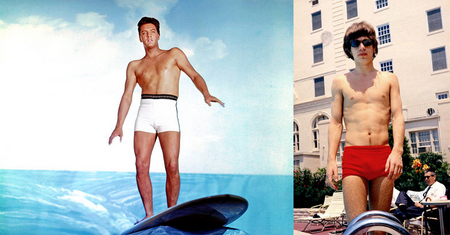 Rolling Stone has published a web-series of iconic rockers at the beach or by the pool, like Elvis and Mick above, as they brandish their bulges. CLICK HERE to see the whole series. Be the first to comment on "OMG, they’re in their bathing suits: Rockstars"